Research suggests a regular meditation practice could protect against heart disease. Here's how to begin one. What's good for the mind also tends to be good for the heart. "Not only can meditation improve how your heart functions, but a regular practice can enhance your outlook on life and motivate you to maintain many heart-healthy behaviors, like following a proper diet, getting adequate sleep, and keeping up regular exercise," says Dr. John Denninger, director of research at the Harvard-affiliated Benson-Henry Institute for Mind Body Medicine at Massachusetts General Hospital. Sitting and being still isn't the only way to practice meditation. Mind-body activities like yoga and tai chi are similar to meditation in that they emphasize slow movements, controlled breathing, and mental focus. Even exercises that emphasize steady, repetitive movements, such as riding a bike, swimming laps, or walking can be a form of meditation, if you focus your brain on the task at hand. With regular meditation, you may be able to raise your HRV. A 2013 study found that people who did five minutes of meditation daily for 10 days had a better HRV compared with those who didn't meditate. On each exhalation, say the word "peace" out loud or to yourself. When your thoughts wander (and they will), don't get discouraged. Simply go back to repeating the pattern. For example, devote just five minutes a few days per week to meditation, and then gradually increase the time and frequency until you can do it daily for up to 20 minutes. "Doing some meditation, no matter how brief, is always better than nothing," says Dr. Denninger. Set up a schedule to help establish a routine. Try to meditate at the same time each day, says Dr. Denninger. If you have trouble sticking to a set time, plan to do your meditation after a regular activity like brushing your teeth. "If you miss a day or two, don't feel you have lost any progress and have to start over," says Dr. Denninger. "Simply pick up where you left off and keep going." 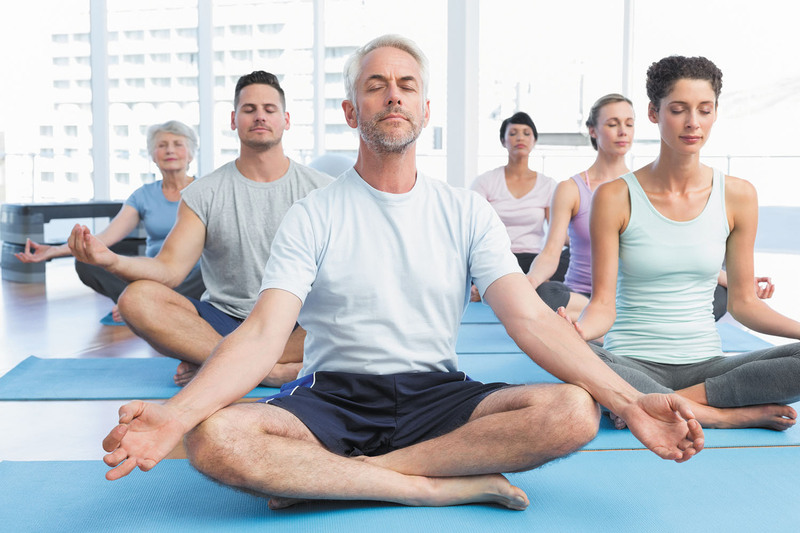 Some people find that learning and practicing meditation with a group is helpful, so you could inquire about meditation classes at yoga studios and community centers, or even follow meditation exercises online. Meditation can be yet another way to improve heart health and at the same time help ease your mind.